A group of talented young students are leading the next generation of sports professionals after receiving high profile university offers. Ten PE students from Sir John Deane’s Sixth Form College have been selected to study sports-related degrees at Loughborough University, renowned globally for its sporting prestige. Sophie Brayne, Sarah Worsdale, Sam White, Matthew Talbot, Ben Kennils, Tom Render and Beth McCarthy have all been offered places to study Sports Science, while Daniel Carroll will be studying Sports Technology; Alex Wilkinson, Sports Psychology; and Zoe Copnall, Sports Science and Maths. Jenny Thorp, Head of PE at Sir John Deane’s, said: “These are exceptional students who have worked hard and committed themselves to their studies over the last couple of years, so I am absolutely thrilled that they have been selected for Loughborough. Loughborough University was recently named the ‘Best Sporting University in the World’ in the Global QS Higher Education league table with some of the most celebrated names in sport having studied there, including Paula Radcliffe and Sebastian Coe. More recently, university-linked athletes brought back 42 medals from the Rio Olympics, with 90 athletes with Loughborough connections competing in London 2012. 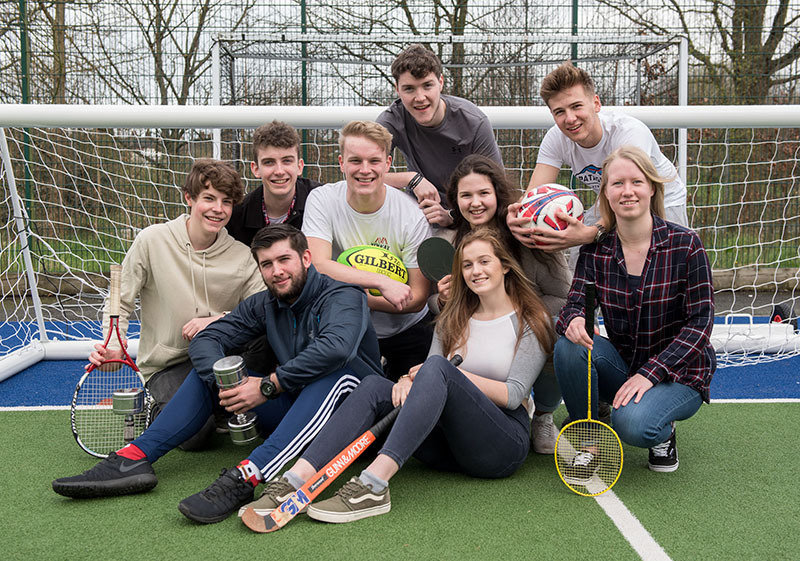 Alongside their A-Level studies the Sir John Deane’s students are also involved in a number of sports in and out of the college including athletics, cricket, netball, rugby, football, golf, gymnastics, basketball and even clay pigeon shooting.